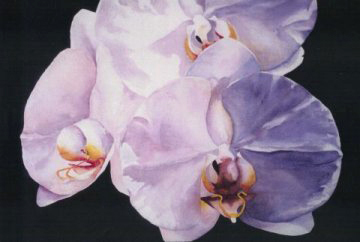 Mary Blumberg is an artist who excels in watercolor and watermedia. Her design sense and passion for intense color have made her paintings in demand by collectors all along the east coast of the USA. Always experimenting and pushing for more facility in technique, Mary’s art expresses her desire to bring to life a little touch of color and harmony. Realism with a sense of the abstract, a major facet of Mary Blumberg’s paintings, is a result of many years’ study in a variety of creative art forms. From her twelve year participation as a docent for the Museum of Art in Ft. Lauderdale and her successful interior design studio in that city, to being chosen for the Grumbacher Gold Medal, her work speaks of accomplishment in both watercolor and watermedia. After several years painting in oil, watercolor became her medium of choice in 1991. She has studied with many nationally known artists during workshops and private classes in Ft. Lauderdale, Florida, and attended both at the Art League School in Alexandria, Virginia. 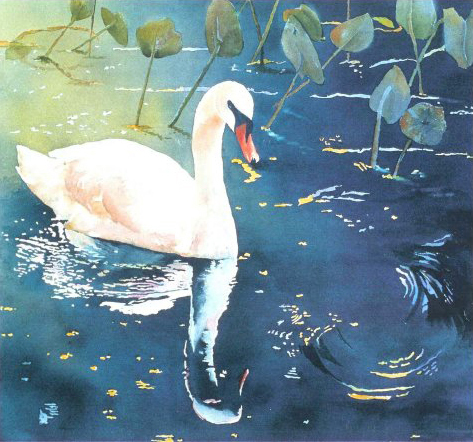 Her paintings have appeared in state and local shows, such as the Florida Watercolor Society annual exhibitions, the Palm Beach Watercolor Society yearly shows, and the Gold Coast Watercolor Society exhibitions since 1992. Nationally, she has been accepted in the Torpedo Factory Open Media Exhibitions in Old Town Alexandria, Virginia. Her painting, “Moments” was exhibited in the Houston WASH exhibit in 2004. Upon moving permanently to Solomons, Maryland in 2007, Mary found the arts community an exciting and viable professional group. 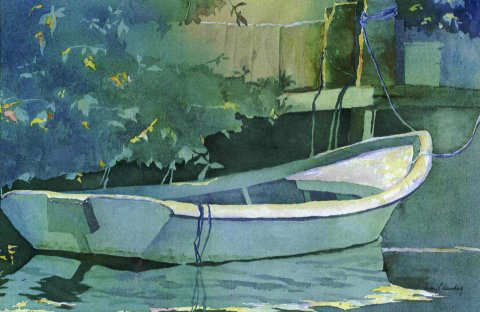 A member and past President of the Calvert Artists Guild, she has held workshops and is now teaching advanced watercolor classes at the Annmarie Garden Studio School and in her home studio. She also actively participates in the Color and Light Society of Southern Maryland. 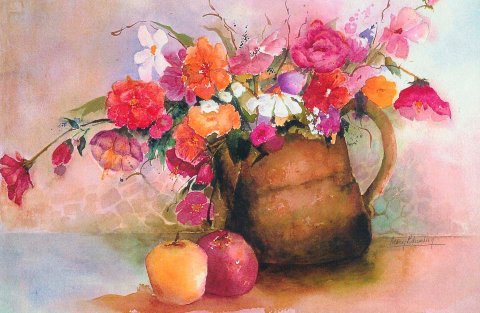 Mary is a member of the Southern, Florida, Palm Beach, and Baltimore Watercolor Societies, Color and Light Society, and the Calvert Artists Guild. One may find her work in several private collections including those custom-sized for hanging in private yachts. The calvART Gallery in Prince Frederick, MD and the North End Gallery in Leonardtown, MD both have a fine selection of Mary’s art.